If Geneva, Switzerland is the most international of cities, and one of Europe’s most affluent, with a seemingly endless parade of Ferrari’s, Porsches and Mercedes, then the new Geneva custom wheels are aptly named. If Geneva, Switzerland is the most international of cities, and one of Europe’s most affluent, with a seemingly endless parade of Ferrari’s, Porsches and Mercedes, then the new Geneva custom wheels are aptly named. Geneva rims are uncommonly sophisticated, uncompromisingly elegant and would enhance the appeal of even the most exotic and luxurious of cars in matte gunmetal or matte titanium silver. If sheer beauty alone is not enough to commend Geneva aftermarket wheels, then the revolutionary manufacturing process by which they are made is worthy of your attention. The Geneva model employs our most advanced manufacturing technology, rotary forging. Rotary forging involves shaping the wheel as it is spun at high speeds and subjected to intense pressures. This results in an alloy wheel dramatically lighter than one made from conventional processes, and much more durable as well. The benefit is a much lighter weight than a regular cast wheel. Most importantly, the weight saving is in the outer rim of the wheel which dramatically reduces rotational mass and enhances vehicle performance. 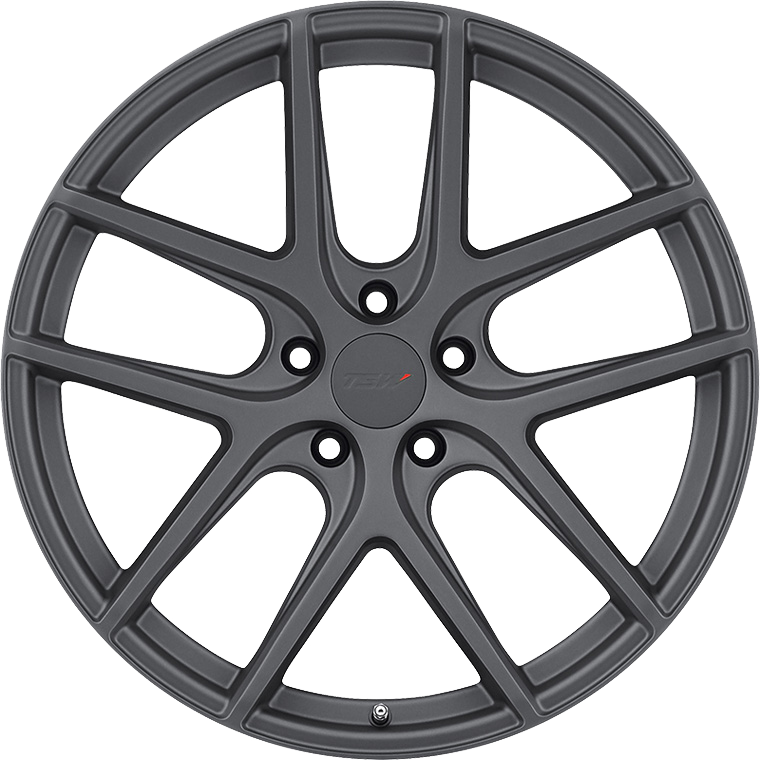 Available in a wide range of sizes to support staggered fitments.